Silverhawk began as a charter operation in Seward Nebraska, with one airplane and one pilot. Within 10 years, our Charter operation grew to 13 airplanes ranging from piston twins to light jets. We developed maintenance capabilities for our own airplanes and added FAA Repair Station certification to better serve other customers. We moved to KLNK and developed an exceptional line service department for local customers. 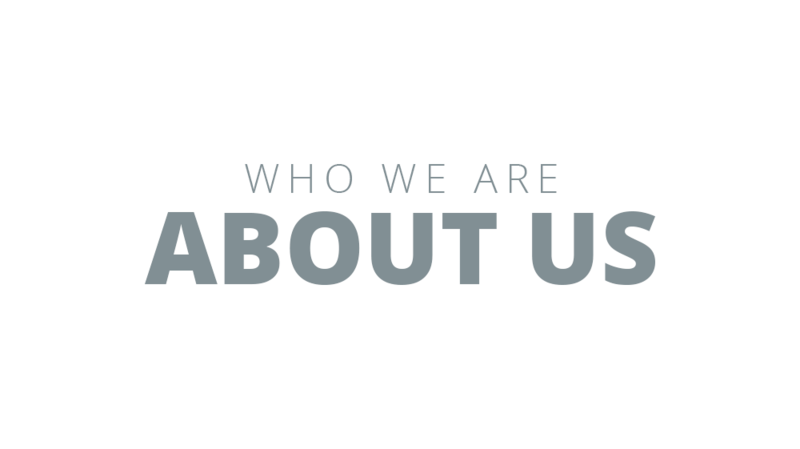 We began to attract Quick Turn customers with our excellent prices and service, and made that a key part of our business. 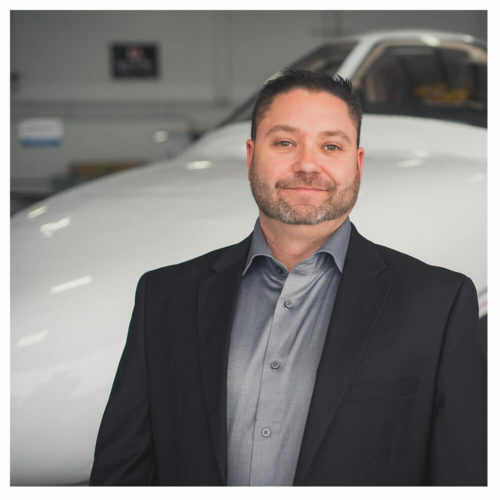 Now, Silverhawk has a strong Charter operation with a fleet of turboprops and light jets, a large and growing regional Maintenance department, and a nationally recognized Line Service department. Step-by-step, we have built a strong and growing full-service FBO. At Silverhawk Aviation, we’ve always known that you can’t create something special and distinctive unless you relentlessly seek out, hire, and retain amazing talent. We absolutely love customer-service oriented applicants who believe people matter, who will do the right thing for the customer (whatever it takes), and who want to develop their technical expertise. If this sounds like you, check out our available career opportunities below! 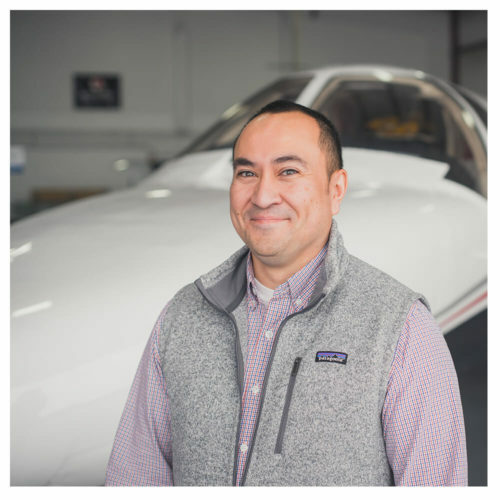 Mike began his career in aviation in 2004 working at Silverhawk’s front desk while also learning how to fly. 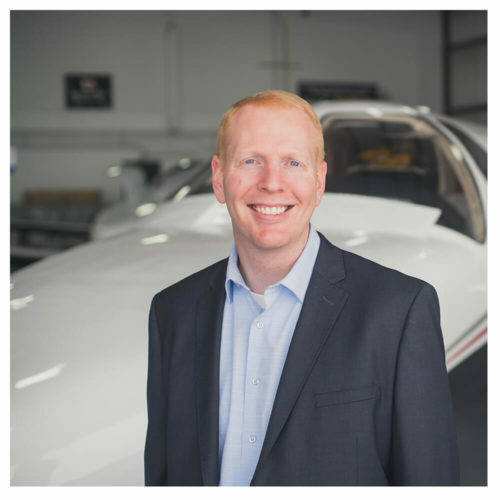 In 2006, he helped launch a local flight school as a Certified Flight Instructor before returning to Silverhawk as a charter pilot in 2007. In 2008, Mike became a King Air and Citation Captain and company flight instructor, later adding accounting duties as the company Controller. He became Chief Pilot in 2010 and was promoted to Director of Operations/CFO and a Check Airman in 2011. Mike became President and co-owner of Silverhawk in 2015. His vision for Silverhawk is to elevate each customer’s experience by offering great flexibility, extensive experience, and remarkable service. Mike enjoys snorkeling, scuba diving, biking, and spending time with his wife Jen, daughter Bree, and son Cam. Gene started his first job in aviation March 1992 at Linair, a company that occupied the same building Silverhawk occupies today. Later that year, he took a job at Offutt Airforce Base as a civilian contractor on the C21A (Lear 35A). In August 1993, he accepted a position with Silverhawk Aviation in Seward, NE as an A & P Technician. Upon earning his IA Authorization in February 1995, Gene became Director of Maintenance for the 135 operation where he traveled between the Crete and Seward locations before moving them both to Lincoln, NE in the Spring of 1997. In 1999, Silverhawk acquired its 145 certificate and Gene was named Chief Inspector. 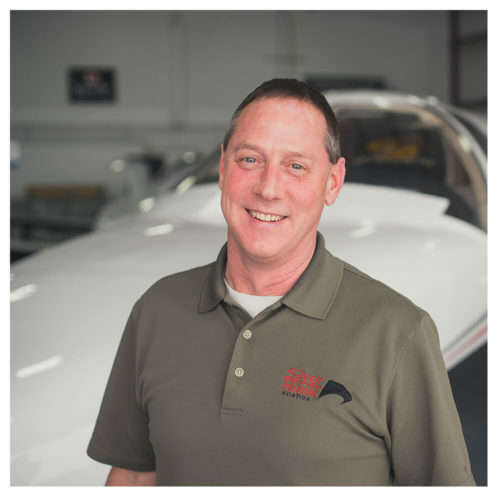 After 22 years with the company he joined as a single young man, Gene became co-owner of Silverhawk Aviation in 2015. Now a husband, father of three, and grandfather of one, Gene is every bit as excited for the future as ever. Most recently, Dave was the VP of Sales and Marketing at HobbyTown Unlimited. With HobbyTown he was responsible for providing a clear vision of the HobbyTown brand while overseeing all national and local marketing strategies and execution. In his current role, he both leads internal sales and marketing teams and manages multiple outside strategic partners. Dave currently resides in beautiful Hickman, Nebraska and shares a home with his wife of 17 years Diana, son Benjamin, and two Boston Terriers, Pete and Daisy. In his spare time, he serves as a board member for Norris Wrestling Club and is an avid motorcycle enthusiast. 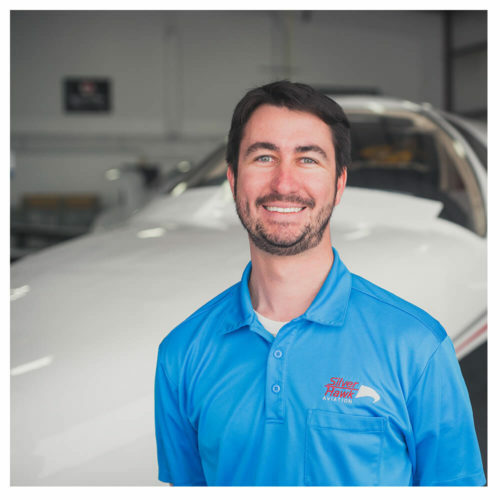 John started flying in 2007 when he earned his Private Pilot’s Certificate in Bakersfield, California. He then attended Embry-Riddle Aeronautical University to receive his Bachelor’s Degree in Aeronautical Science. After a couple of years as a flight instructor at Embry-Riddle, he went to work at an international flight school where he trained European pilots to EASA standards. With over 2,000 hours of instruction time, John decided he was ready for his next adventure. He left the Sunshine State and moved to McCook, NE to become an air ambulance pilot, flying the King Air 90. John eventually earned the title of training captain and became the base lead pilot at McCook. After almost two years with Lifeteam, he joined Silverhawk in January 2015. Since then, he has been involved as the training officer, the Chief Pilot, and now the Director of Operations. When he isn’t sitting behind a desk or flying, he enjoys spending time outdoors and traveling with his wife Kelsey. Jackie began working for the Silverhawk group of businesses in 1997 as an accounting assistant for the security guard, investigation, and aviation companies. Surviving several acquisitions and mergers, she worked her way up to the position of Portfolio Account Manager for ABM Security. During that time, Jackie also did the payroll and assisted with various accounting functions on a part-time basis for Silverhawk Aviation. 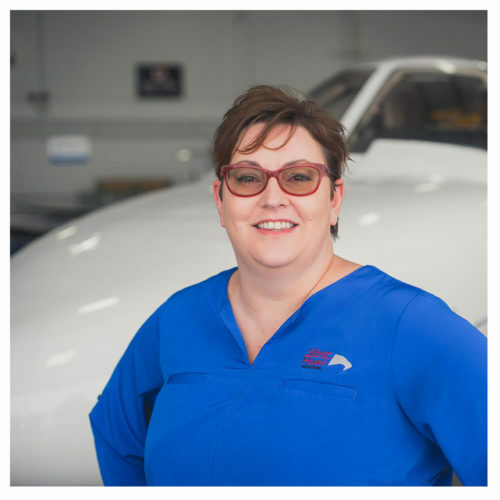 In 2016, Jackie finally hung up her security hat and joined Silverhawk Aviation full-time as the Director of Finance. In her new role, Jackie is responsible for overseeing the finance, human resources, and IT functions. She has a Bachelor’s of Arts Degree in Accounting from Doane College. Jackie enjoys reading, playing video games, and the Boston Red Sox. She also loves spending time with her husband Brent as they chauffeur their two children, Zoe and Dane, to and from school and sports activities. operations throughout the NY Metro Area. Will held increasingly responsible roles at each NYC area airport, HPN, TEB, PHL, ISP and FRG. His unique customer service platform and grassroots style of management has played a role in shaping many organizations’ success stories throughout his almost 20-year career. Many days, you can find Will working with the line staff on the ramp. Will has 2 sons, Declan and Nicholas, who keep his off-time as busy as his on-time. He holds degrees from Marquette University and WCTC in Criminal Law.